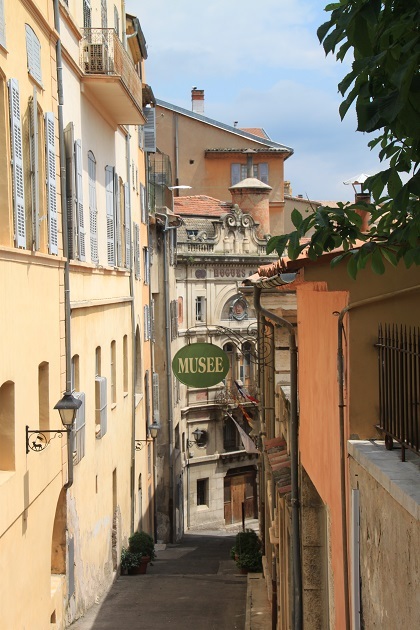 After learning about perfume production at Fragonard we carried on into the medieval old town of Grasse. I had read some quite negative reviews on Tripadvisor so we weren’t expecting much but ended up all agreeing it was totally charming. 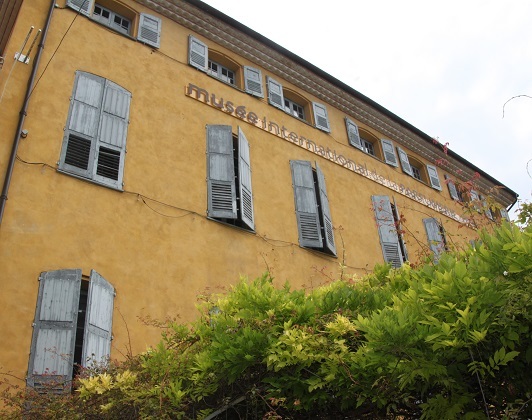 The town has several perfume museums, we opted to visit the Musee International de la Parfumerie. A small entrance fee of 4 Euros but Son was free so all very reasonable. The museum is housed in an 18th century mansion, just gorgeous with every angle picture perfect. The house was actually the star of the show for me – beautiful and grand, apparently Napoleon’s sister used to stay here, I can totally see the appeal. 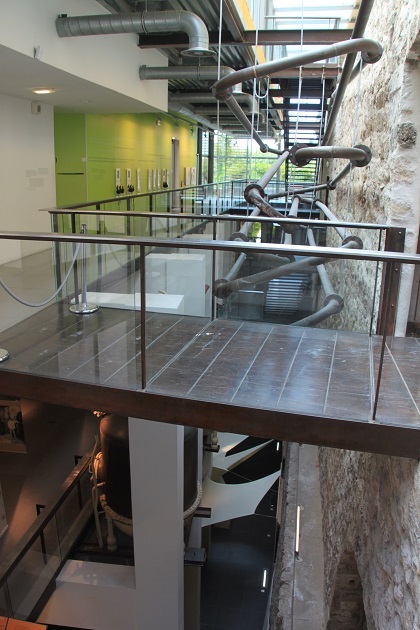 There was a modern glass extension at the back and plenty of rooms to explore inside. 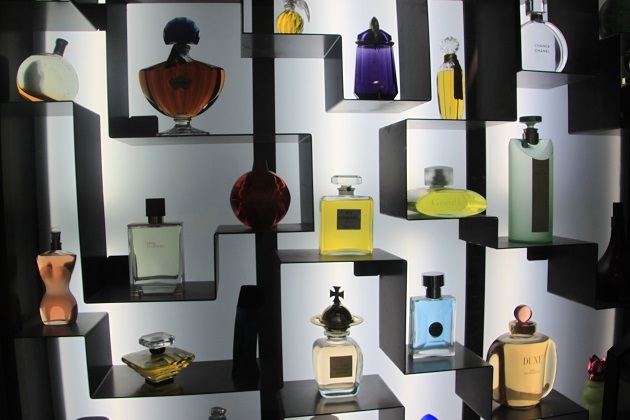 The museum follows three millenia of perfume history using a mix of artefacts, bottles, videos, vintage posters and plenty of information panels in French and English. 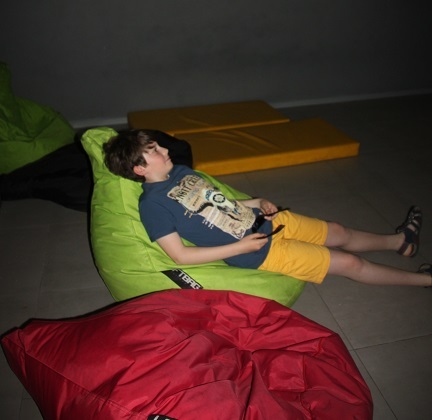 We started off lazing on beanbags (Son enjoyed this very much) watching a film while testing our sense of smell. 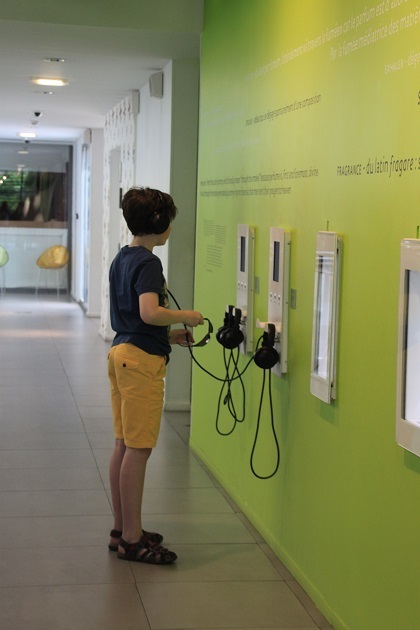 There was plenty of hands-on stuff for children and the opportunity to touch, smell and press buttons in all areas of the museum. We found a fragrant garden then entered room upon room of perfume bottles, dating from the Ancient Greeks via Marie Antoinette to the present day. All beautifully presented but unless you have a fascination for scent bottles it all becomes a bit much and we scurried through rather quickly. 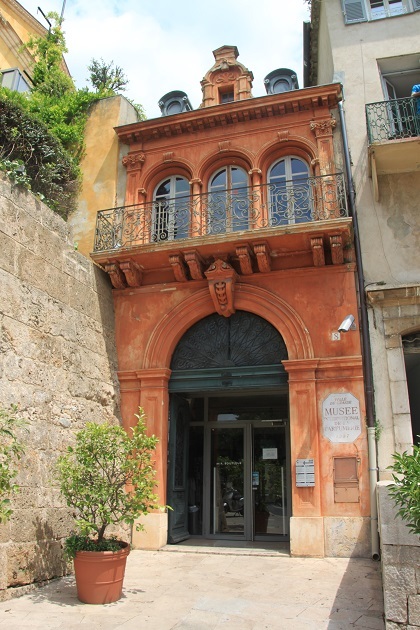 There was a little (but in my view not enough) about the industry and how it developed in Grasse and just a tempting teaser of how it affected the lives of the people who lived there. 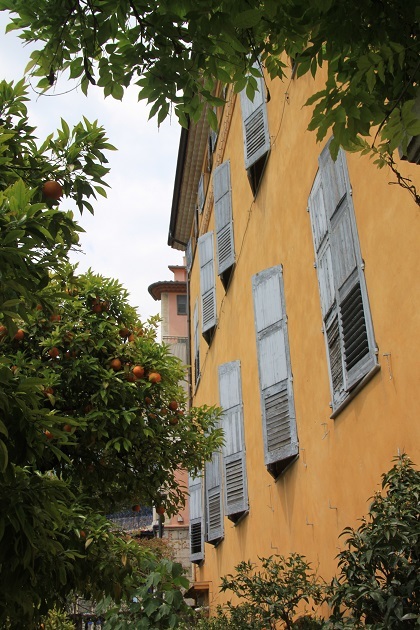 We found a gorgeous orange garden outside with benches where it would have been nice to sit and soak up the atmosphere but Son was a bit too fidgety for that. 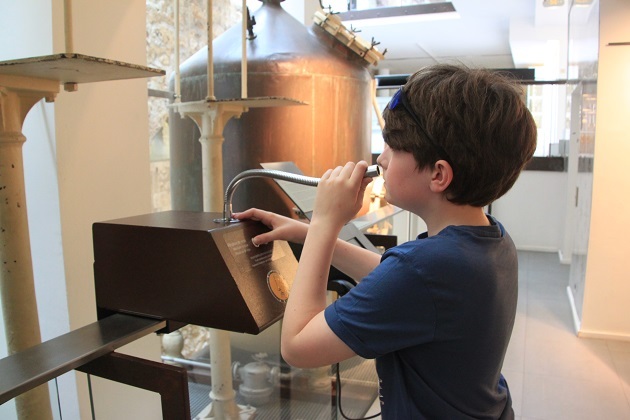 We all enjoyed the explanation of the chemistry behind perfume and Son adored the contraptions that puffed the fragrances into your face so you could smell what was going on. An exit through the gift shop and we were on our way, thoroughly briefed on the history of perfume. 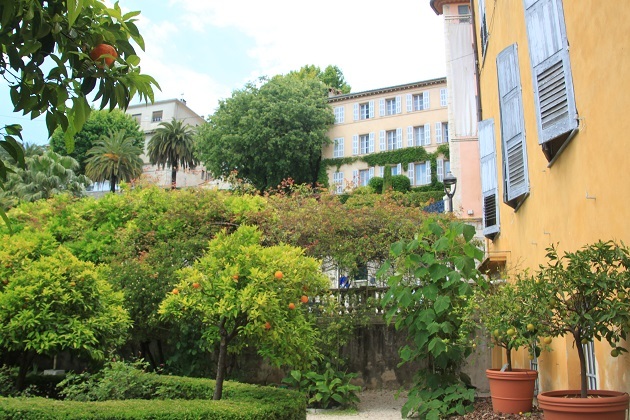 Grasse looks like a wonderful destination ! I love medieval town, they are always full of character. This one was no exception, it was just charming with gorgeous buildings and lovely little streets to explore, we loved it. Me too, I love nothing more than coming back with a bag of those samples and a bottle of perfume for a birthday or other present is probably my favourite thing!! It was great here to learn about the history and have fun with all the gadgets!! A charming town with so much character. I enjoyed looking at the perfume bottles through the ages and it’s always lovely to see oranges growing, obviously much sunnier and warmer than here! I can’t tell you how excited we were by those oranges, looking at them now too with the rain pouring down outside it feels like a different world!! I agree—totally charming. When you say “testing our sense of smell,” did they give you any results? I fear I lack a discerning sense of smell because I can’t distinguish what I’m smelling. No results but I think our efforts would not have been rated very highly!! None of us are great with smells but it was lots of fun to have a go! Thanks Kamila, enjoy your weekend too. The house was my favourite part of the whole day Pam, isn’t it a beauty. 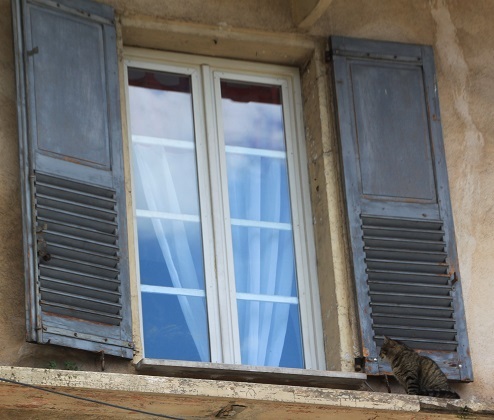 I love the colour and the shutters, my idea of perfection!! A beautiful place I visited years ago. You may me want to go back next time I’m in France. Thank you for sharing. Thank you for reading Marilyne – we loved our day here, I would go back as well!! 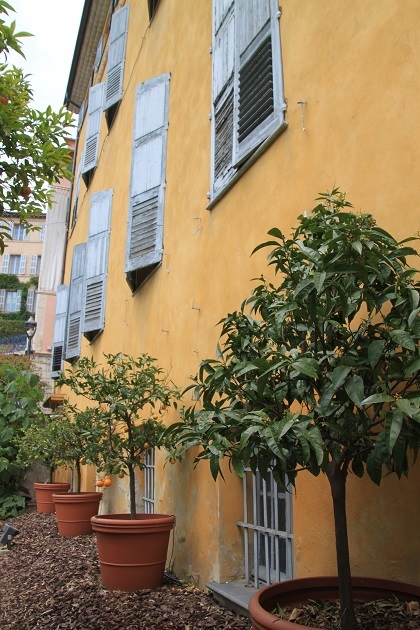 Gosh I went to Grasse what seems like hundreds of years ago! Thanks for this, brought back a lot of happy memories – and great pics too! Thank you Lois, it is a wonderful little place to visit – a great picture around every corner!! The orange garden was my favourite part – I did love that cat too, just sitting perfectly in the right spot! That looks like a gorgeous spot. I don’t know much at all about perfume so would find it interesting. I don’t think my kids would engage as much as your son did though. It is absolutely beautiful, the old streets and buildings are so lovely it’s almost unreal. He did enjoy the museum but I think sometimes that’s because he’s on his own with his. If he had a couple of mates along it would probably be a different story!! How interesting! And boy! Your son is getting so tall! Great post Joy! Thanks Jenny, yes time shoots by and he shoots up, taller than me now!! Really?! Oh my! I think I have a couple more years before overtakes me, but she’s growing fast! Oooh love perfumes!!! Wow I’d love to visit a perfume museum and Fragonard. Just curious if u happen to know how much a bespoke fragrance is from Fragonard? It’s very interesting – definitely recommend if you ever get the chance. No idea though on how much that would cost unfortunately!! Lots of people asked that question George, not at all though, I’ve been more overwhelmed by perfume smells in plenty of shops before but not here! It was such a gorgeous little town, I loved the building too Rosemary, so beautiful from the outside and great to be able to explore inside too. 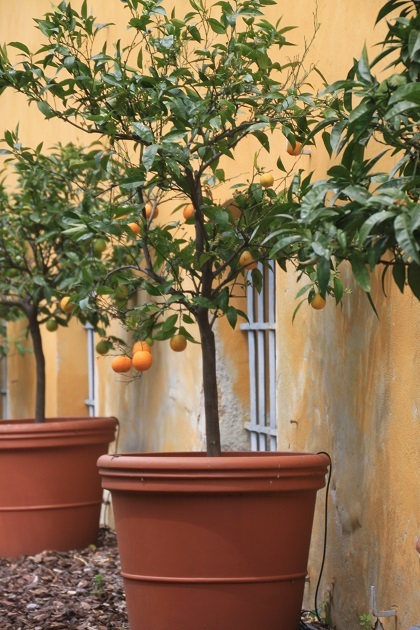 The oranges growing are such a novelty for us from colder climes, I never cease to get excited by orange trees!! Hope your computer runs ok now, I am useless with IT problems and just leave it to the men of the house to sort!! Enjoy the rest of your weekend. Gorgeous! Would love to get France, these photos are stunning. 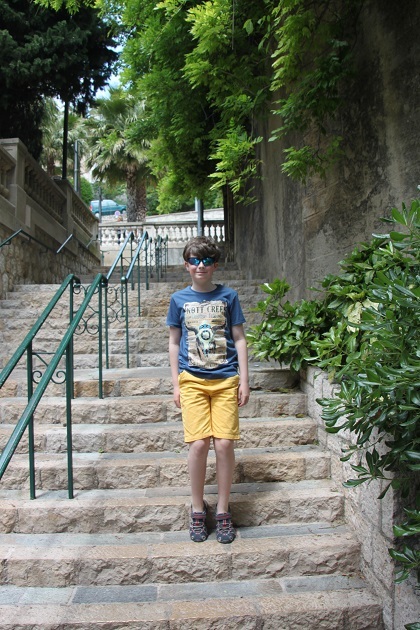 Thank you – it’s a beautiful part of France for sure, we loved exploring and the scenery everywhere is just stunning. What a lovely place and it’s good you got the chance to form your own opinion after reading the negative reviews. Thanks for sharing! Just goes to show sometimes you need to experience a place for yourself. We loved it here! !